In exactly three minutes and twenty two seconds, four women sing and dance—expertly, professionally, effortlessly—to a driving four-four rhythm littered with saw wave synths, 808 kicks, and a series of vocal refrains passed through flangers and harmonisers. Somewhere in the middle there are also six fiery bars of rap that wouldn’t feel out of place in a heated battle cypher. The song is a mix of Korean and English, and from start to finish, each switch in musical direction is marked by dazzling otherworldly, tech-abstract visual effects. From within a simple laundromat, to the the inside of a subway train car, all the way to one of them speeding precariously down a tunnel in a fearsome Huracan-lookalike, the four belt out their lines and move in sync to extremely detailed visual transitions and beautifully illustrated motion artwork that all evoke a sense of strength, authority, and pure awesomeness when taken in as a whole. Many out there will by now be familiar with what I’ve described above. 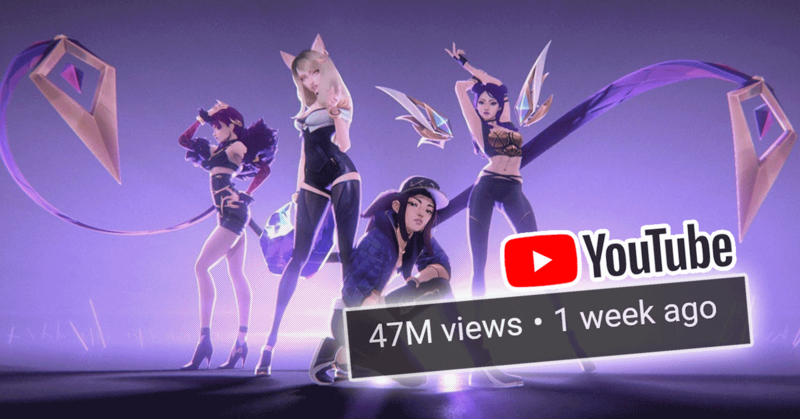 But for those who don’t, what I’m referring to is POP/STARS by K/DA—a K-pop track set on a fully-animated music video by game developer Riot in conjunction with the World Championship Finals of its hugely successful League of Legends (LoL) IP. Even the four-member girl group is fictitious—its members are characters from LoL that are all voiced by actual singers. 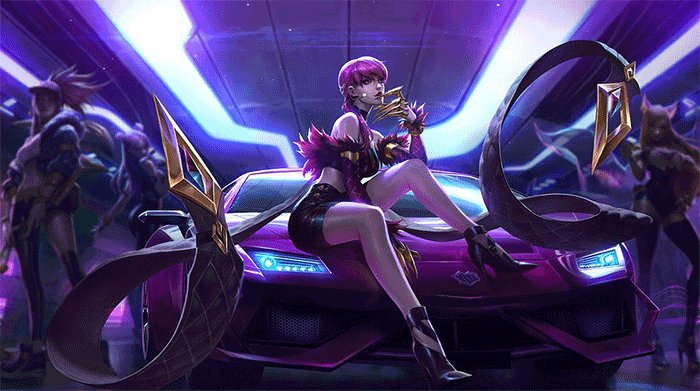 Two of them are voiced by members from fledgling South Korean girl group (G)I-dle, and the other two by American songstresses Madison Beer and Jaira Burns, with the music written collaboratively between Riot’s music team and the four. But more interesting is the fact the the music video debuted at the Championship finals in South Korea as one sophisticated ploy to sell cosmetic skins for the four characters. For the benefit of non-LoL players, these cosmetic skins are nothing more than mere visual customisations for characters within the game that can be bought with real money. These only serve the purpose of allowing players to look better in-game, and the skins so happened to be the outfits worn by the characters within the music video itself. After just two weeks on YouTube, the video already has over 50 million hits and it’s now plain to see that POP/STARS is a rip-roaring success. As someone who’s never played a single game of LoL, I’ve now shown more interest in the game within the last week than I ever had in the game’s almost 10 years of existence, and the same probably goes for hundreds of thousands, if not millions of others who’ve been caught up in its hype. But beyond just analysing the video as another pop-culture phenomenon, it’s also worth examining how Riot successfully leveraged on multiple cultural and entrepreneurial elements to craft an instantly likeable marketing manoeuvre. For context, Riot have done music releases for LoL prior to this one—the most recent one being the epic-sounding RISE that was borne out of a collaboration between electronic group The Glitch Mob, DJ and producer Mako, and metalcore band The Word Alive. RISE reached stratospheric levels of popularity in its own right, with 61 million views after a month. In this case, let’s talk about the biggest thing that Riot did to make POP/STARS such a success: pandering to users the world over. By incorporating the right elements, POP/STARS instantly won over fans and non-fans by dishing out to its viewers multiple flavours of the day—at least in the context of today’s social zeitgeist. First, you have a stellar radio-ready anthem. Unlike a typical jingle written for a commercial, POP/STARS comes as a bona-fide potential chart-topper replete with compelling sound design and production quality. And the fact that Riot chose to make it a K-pop banger only makes it even more of an astute choice, with even portals like Billboard and Variety standing up and taking notice. Thanks to the far-reaching appeal of K-pop, I’ve spotted friends and acquaintances that I know to not have any involvement with LoL suddenly show interest in the game in some way or another through multiple shares on Facebook and other social media platforms. 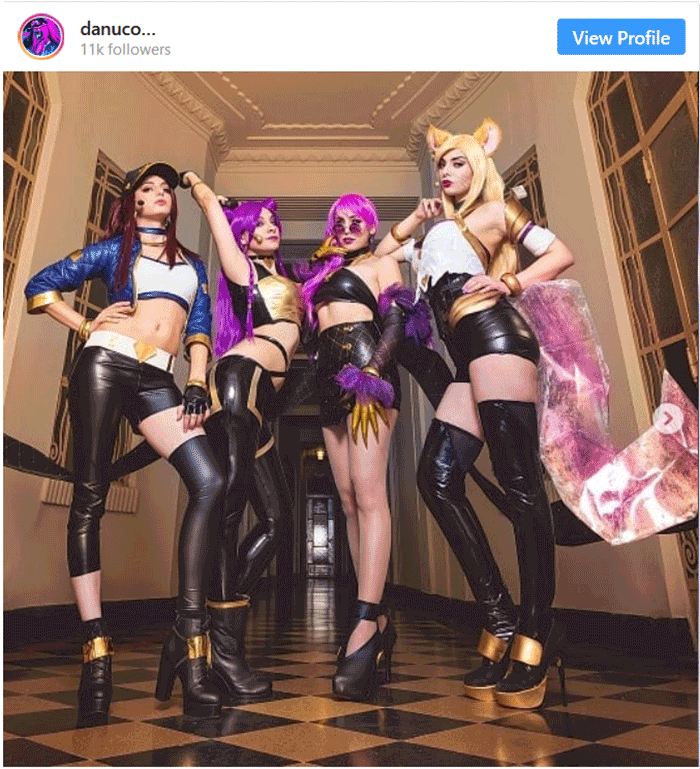 On platforms such as Twitter, Instagram, and Tumblr, the number of discussions, fanart, and outright worship of the song and its video are plentiful and indicative that Riot have definitely captured the attention of an audience that up until now were not expected to have strong ties to their game. Next up you have a delectable visual feast of a music video—Riot’s choice to work alongside renowned French studio Fortiche Productions (of Gorillaz fame) on POP/STARS has yielded a compelling piece of eye-candy that is rewatchable to the nth replay. Snappy visuals and a deeply saturated colour palette work well enough to make the whole video pop without getting in the way of the cosmetic outfits—the actual products being sold. And for the purpose of selling something visual, there is obviously no substitute for top-level production. Finally with POP/STARS, you have a group of powerful women that appear up-front as the centrepiece of the whole spectacle. Arguably, this is easily one of the strongest symbolisms in an age where conversations about feminism and female empowerment are as rife as they’ve ever been, and Riot choosing to play that card proved to be the right one, even if it was the lowest hanging fruit. As it is, the web is currently hungry for content that depicts female characters as strong and capable, and POP/STARS capitalises on this by also putting these four females into highly relatable role-model type casts. For many fans, now instead of just looking at them as fighters, warriors, or magic-wielders, they’re also equally as identifiable as their favourite K-pop artistes, just like BTS, BlackPink, or whatever it is kids are listening to these days. From the outset, these elements would already have worked well in isolation, but together, this amalgam of superior production quality, symbolism, and personability ended up functioning so spectacularly for Riot and POP/STARS. Looking at it as a marketing effort, it’s pretty evident that this will go down as one successful case study to follow—one that has yielded plenty of results from an idea that really wasn’t that complex to begin with.